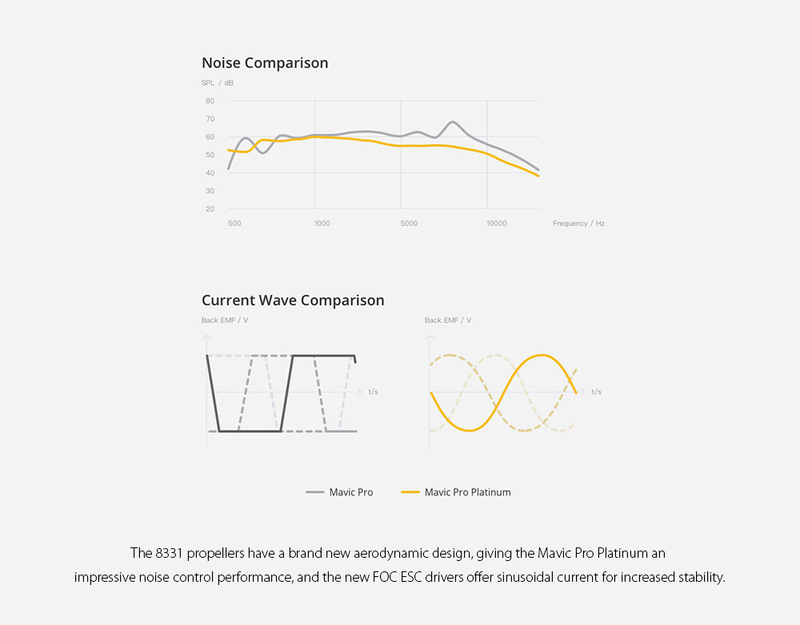 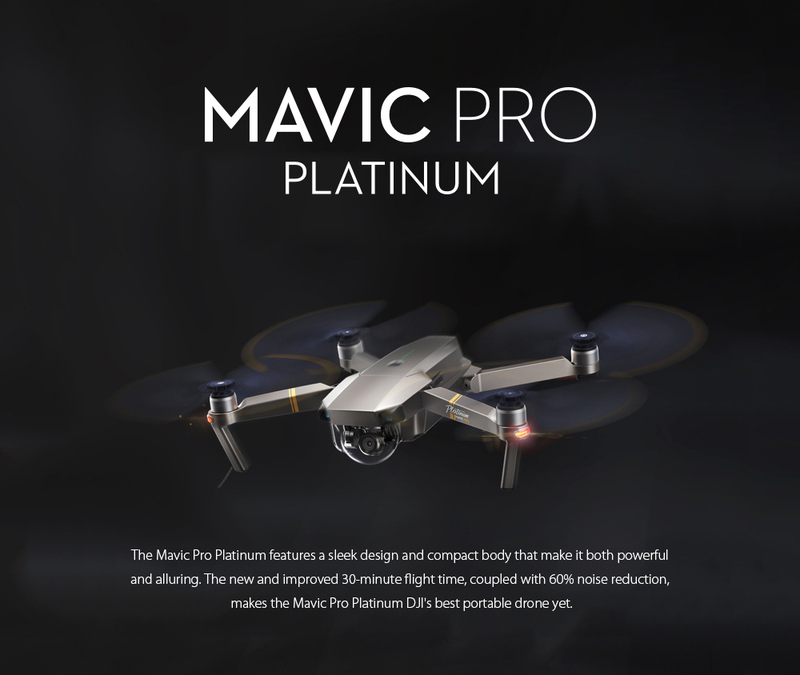 DJI Mavic Pro Platinum has been improved greatly. 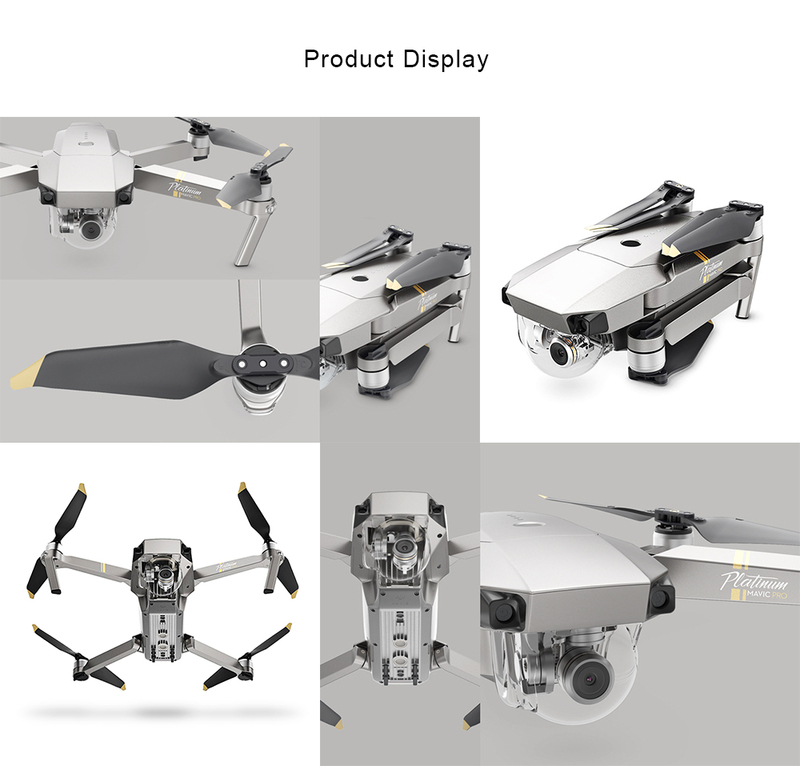 The newly designed 8331 quick-release folding propeller and the latest FOC sinusoidal driver ESC make the aircraft much more aerodynamic, power-efficient, and lower 60 percent noise during takeoff and landing. 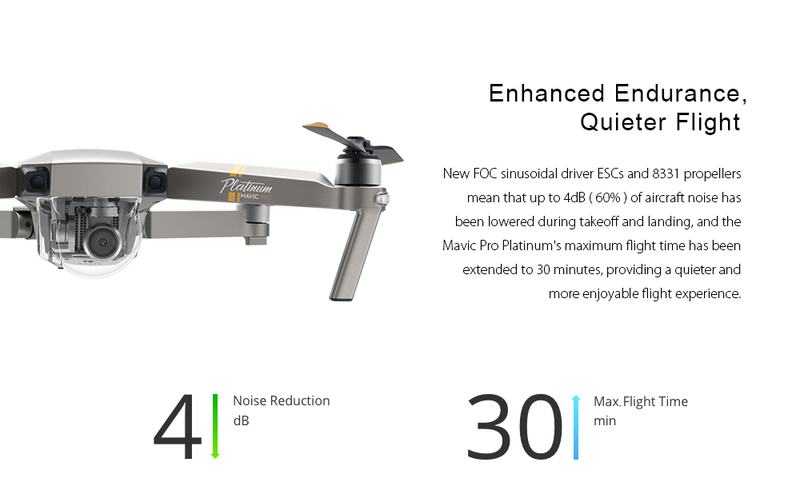 The flight time has been extended to 30 minutes, which means half an hour’s fun of flying at a high speed, and shooting smooth 4K UHD videos within 7km control range.